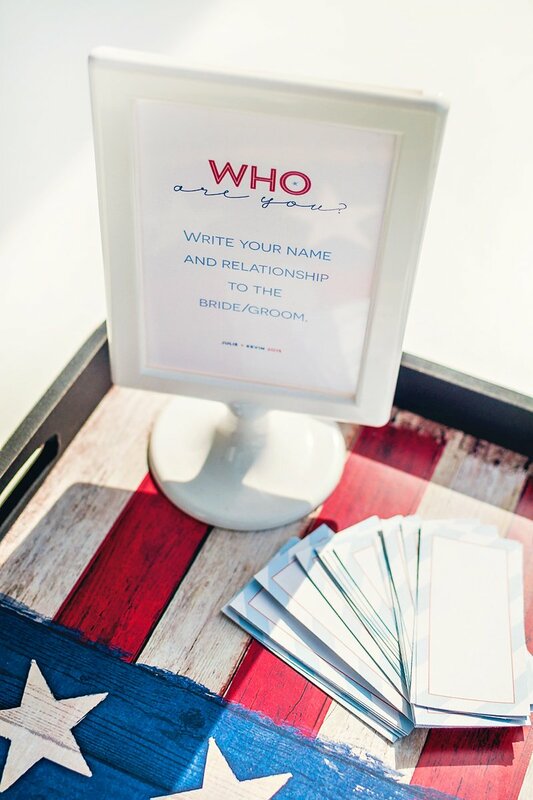 Marie of Sweets Indeed is a brilliant party stylist and incredible person all around, so I was thrilled when she recently asked to use our Confetti Bridal Shower Collection for her sister’s shower, except customized to match a palette of red, white, and blue! 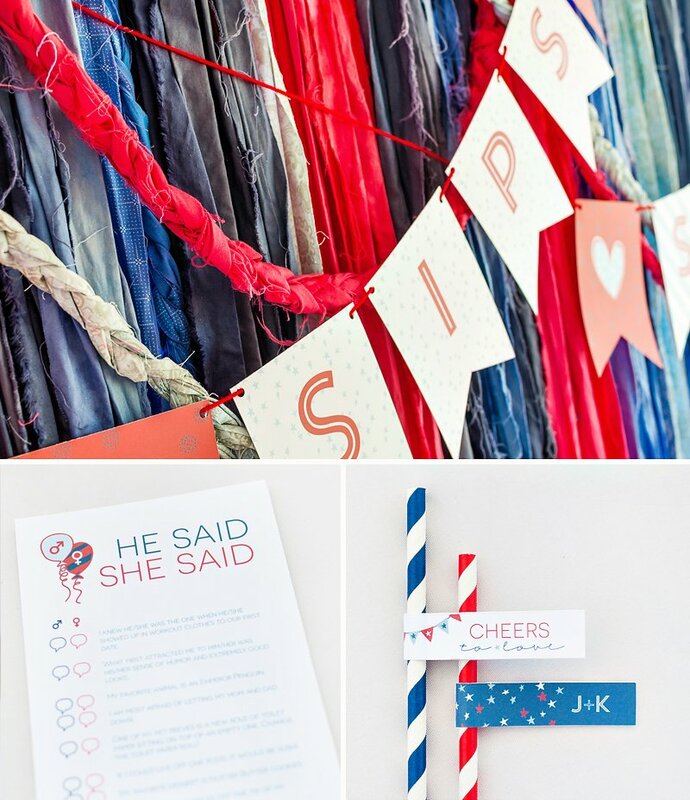 Her sister (Julie) is marrying a marine, so sticking to the theme of the wedding, she designed a darling Americana Bridal Shower that has a great vintage-modern vibe and also feels subtly nautical… or is that just me and my love for all things nautical? ;) Marie also included a BRILLIANT fabric backdrop, creative non-floral (but equally beautiful and way more affordable!) 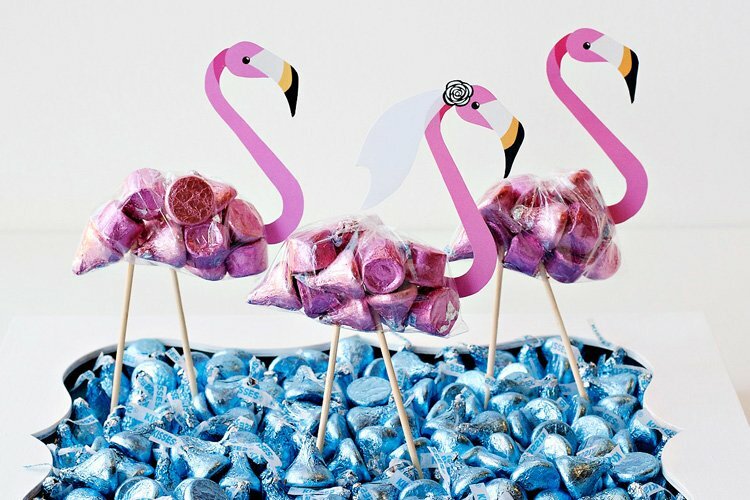 centerpieces, and more fun ideas that deserve three cheers and a salute! My sister is getting married and I couldn’t be more excited. 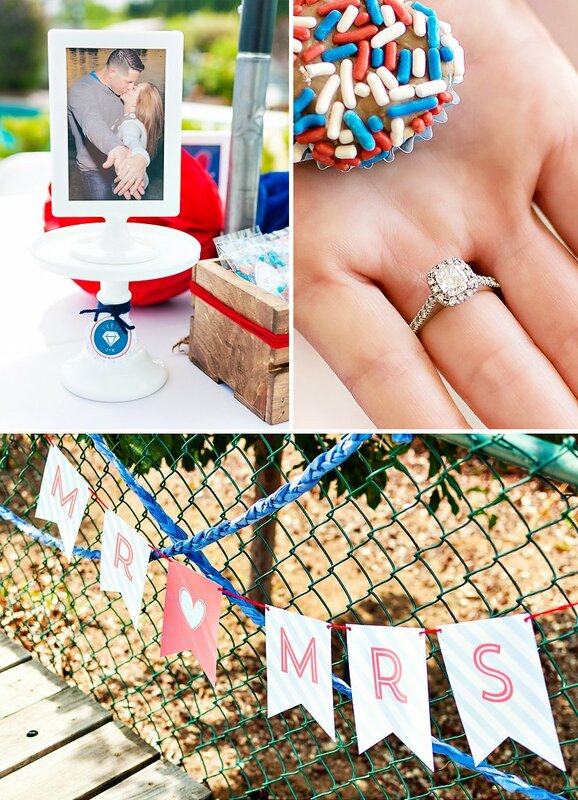 She is marrying a Marine and decided on a red, white and blue inspired wedding with patriotic details. 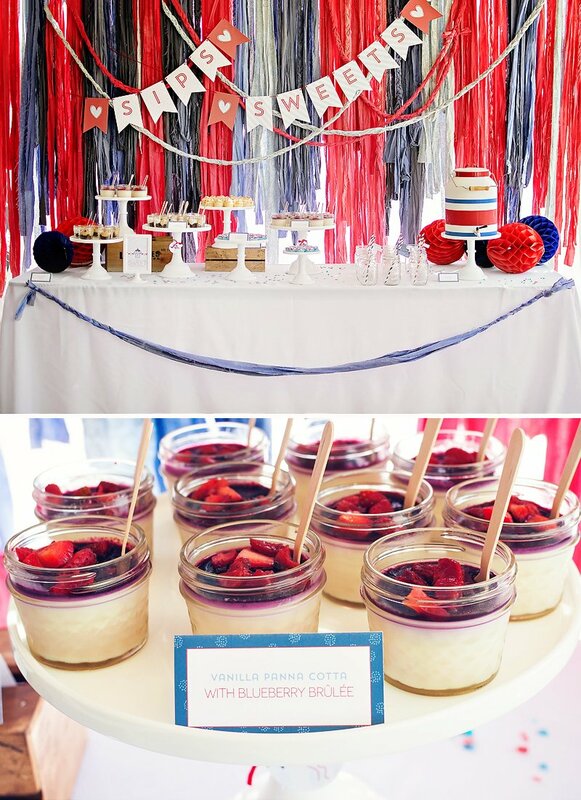 For her bridal shower, I knew I wanted to incorporate some of those same elements without making it seem to 4th of July. I drew inspiration from Indigo tie dye and went for a vintage Americana vibe. 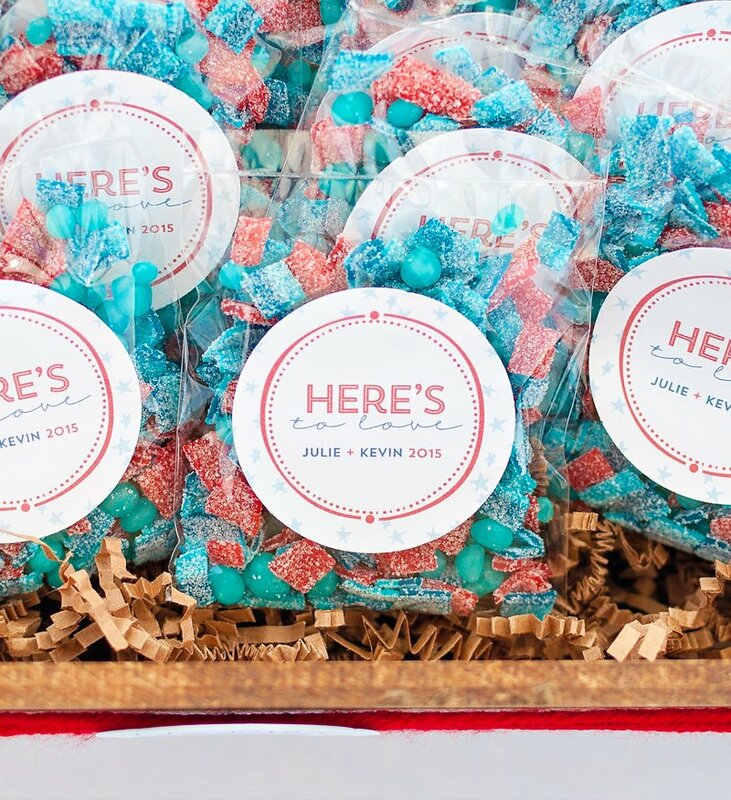 Using Hostess with the Mostess’ Confetti INK collection in coordinating colors gave the whole event design a modern, bridal shower feel. This was a simple, backyard shower and I wanted it to feel fun and intimate while remaining budget friendly. 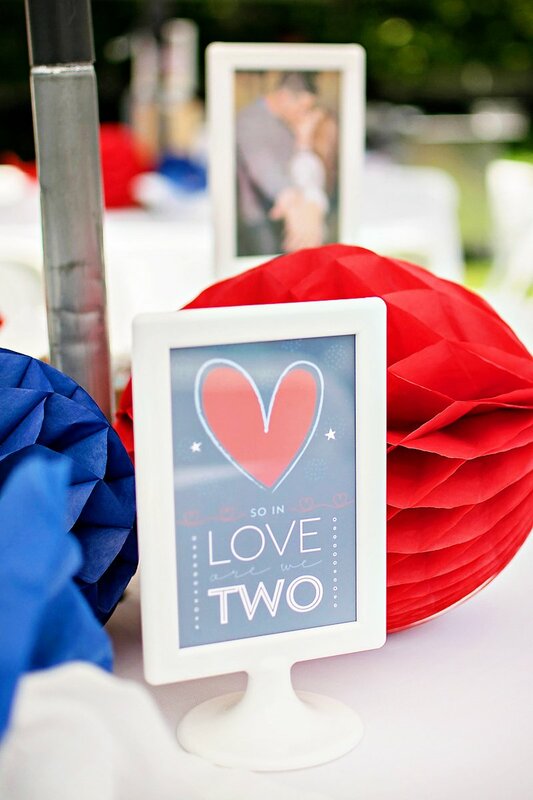 I decided NOT to use floral centerpieces and instead, used crates and details from the Confetti collection to display our custom, take home CandyfettiTM favors and framed pictures of the future bride and groom. 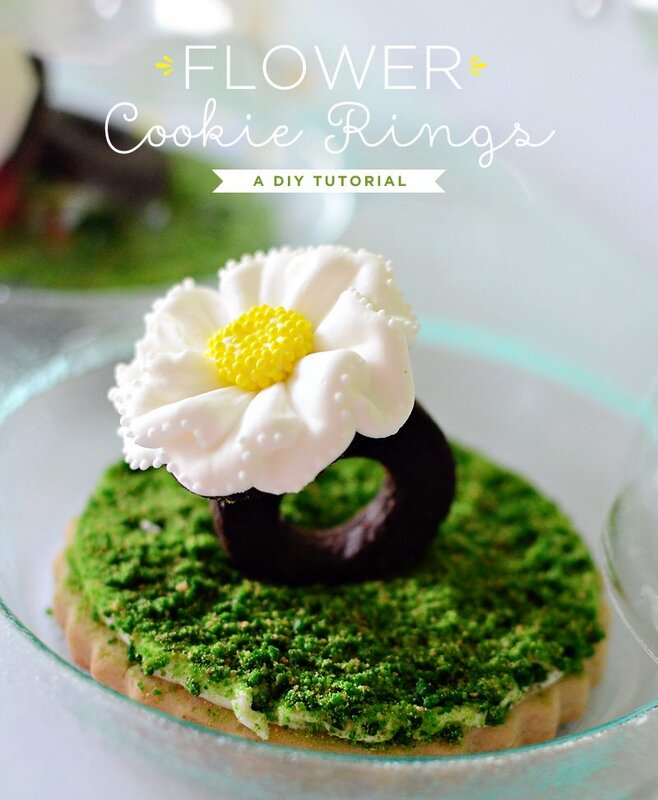 It was a fun, inexpensive way to incorporate colors, the theme and add a personal touch without spending much money at all! 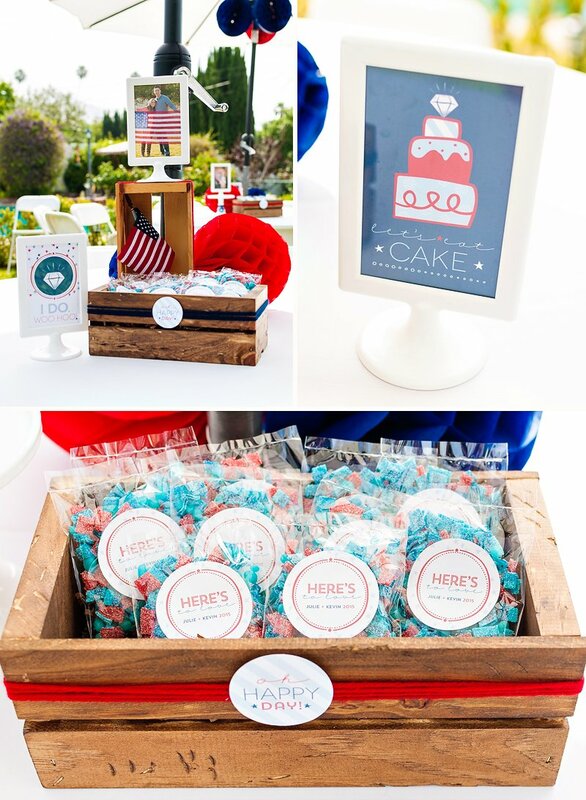 I borrowed the crates from Paper & Cake, used Ikea frames and added paper details with red and blue yarn accents. 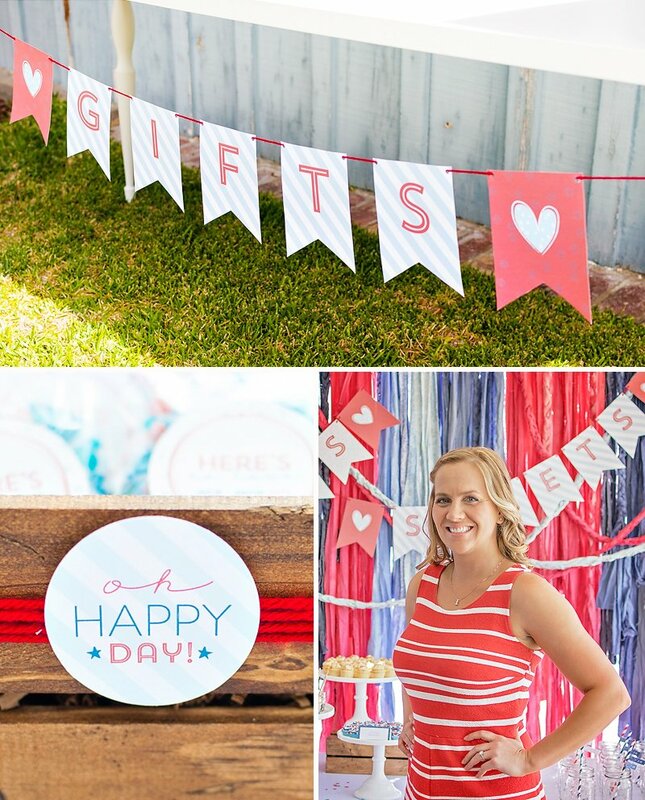 I hung red and blue tissue poms under each table umbrella and placed them on and around tables to give the yard more color. 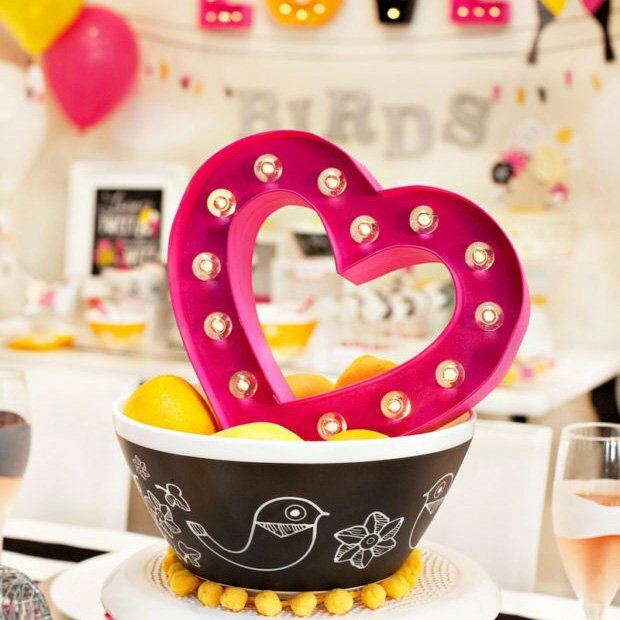 What I love about printable party collections is the ability to edit them. 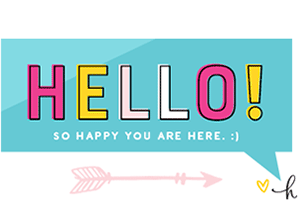 I was able to make custom banners for everything! 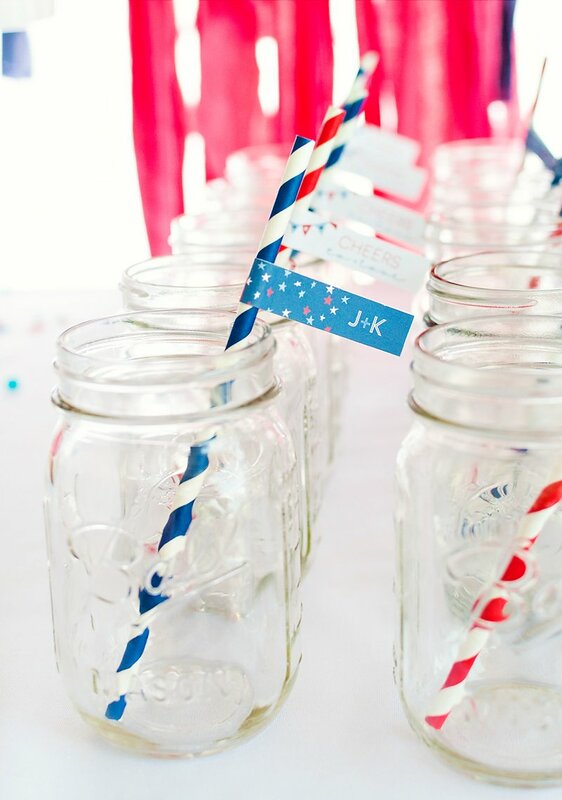 I also used flags for the straws in mason jars, tent style flavor tags for the tasty desserts, signs to help guests know where to put things and what to do next and even made name card templates. 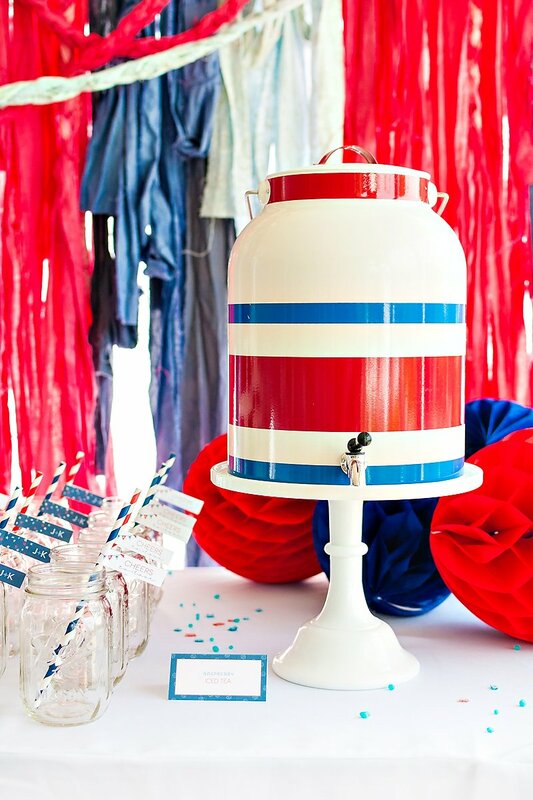 I’d been dying to use a dip dye method on fabric for months and knew I wanted the “Sips and Sweets” station to have a fabric backdrop. Shortly after spending way too much time dip dying a small amount of fabric, I picked up some washing machine friendly Rit Dye and dyed a huge batch of red and blue dye in my washer. It didn’t leave a mess or dye my washer. No mess. No fuss. Less time. Brilliant! I used a pipe and drape backdrop and strung the fabric strips, braiding a few as I went. I LOVE the braided fabric look and incorporated this as decor details throughout the shower. 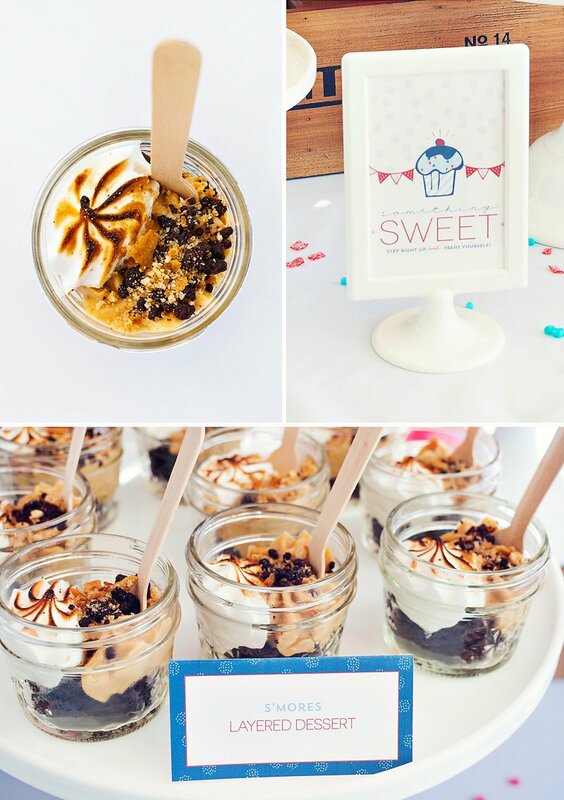 The Sips and Sweets Station included scrumptious treats. Meringue Bake Shop made delicious vanilla panna cotta with a blueberry brûlée and fresh strawberries, a fun s’mores jarred dessert and mini salted caramel cupcakes. 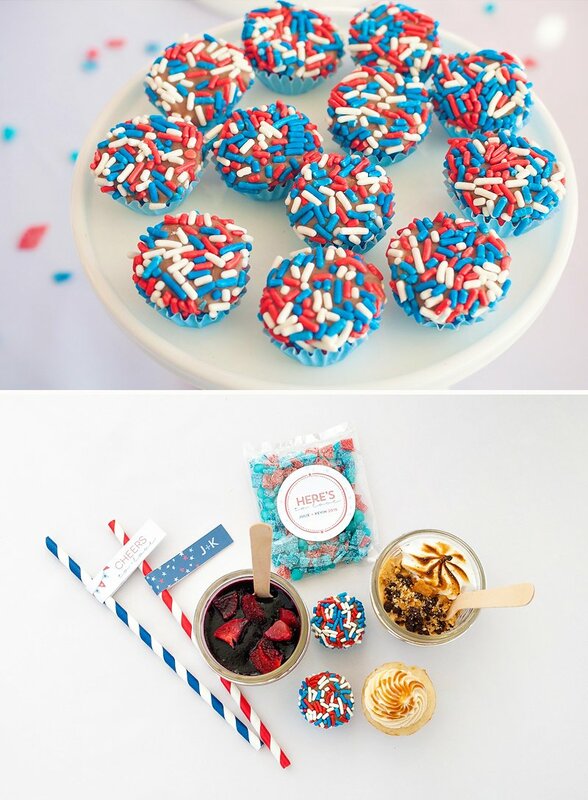 I’m also obsessed with Simply Brigadeiro and ordered her classic brigs sprinkled in red, white and blue. 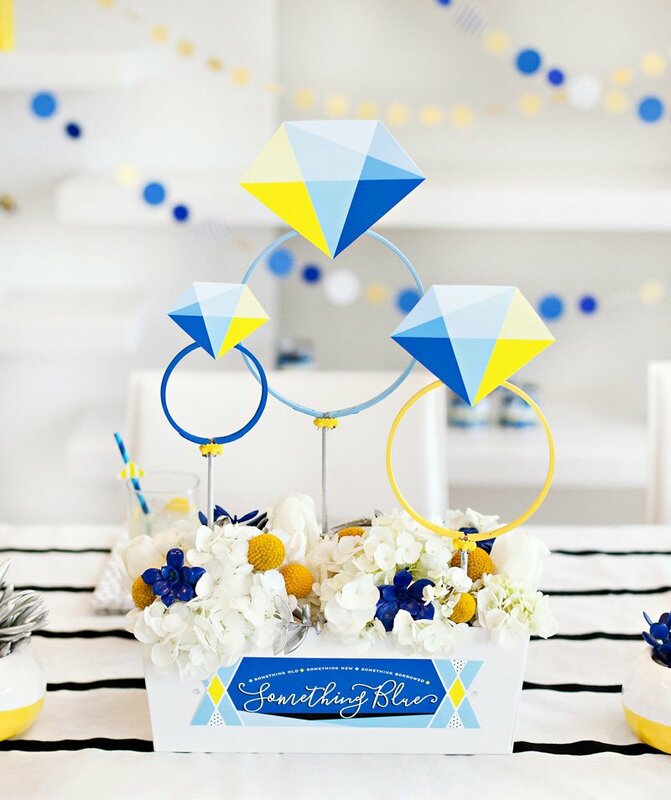 I had a lot of fun with this event and loved how simplistic and realistic the details were to pull off. 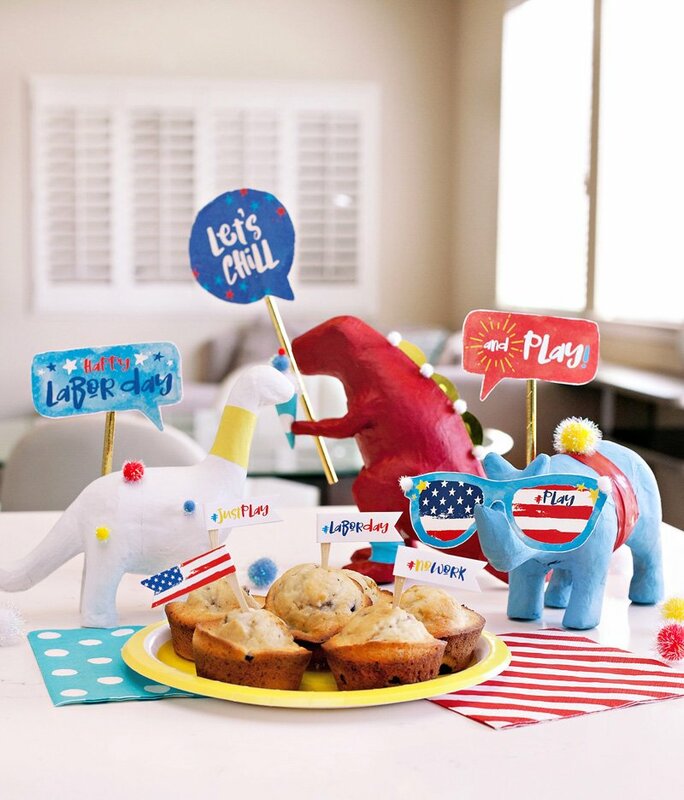 Thank you so much for providing such a perfect printable party collection. Say that five times fast! ;-) It truly set the mood for the entire shower.